With over two decades of experience in the real estate industry, Jory Burton has made a name for himself among his clients and other agents alike. His tenacity and commitment to excellence has made him a top agent in the prestigious Sotheby’s International Realty Beverly Hills office. Jory Burton is a Los Angeles area native and multiple homeowner. He specializes in marketing and selling property in Beverly Hills, Bel Air, Holmby Hills, The Beach, Sunset Strip, Hollywood Hills, and Hancock Park, but has experience selling homes from the coast to The Valley and everywhere in between. His resume includes the sale of more than 500 homes and estates, totaling more than $750,000,000. Jory’s ability to understand his clients’ individual needs makes the process of buying or selling a home that much easier for the client. His exceptional results-orientated approach to the negotiation process consistently helps them achieve their individual real estate goals. Jory also understands how important it is to many buyers and sellers that the transaction process is handled confidentially and discretely. Jory is an honored graduate of California State University Northridge with a degree in Communications and an emphasis in Sales and Marketing. He consistently stays ahead of the curve with his finger on the pulse of the latest technology. Jory has always been dedicated to every mission he takes on, which has resulted in his undeniable success in the real estate industry. He is often called upon by The Los Angeles Times, Wall Street Journal, Los Angeles Business Journal, Architectural Digest, E! Television, and Daily Variety Magazine for his expert opinion on trends occurring in the fast-paced real estate market. 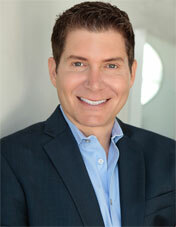 His clients include top celebrities, captains of industry, as well as your average friend or neighbor. Discover the Difference with Jory Burton!